setting my eyes on stockholm. I’ll fly to Stockholm in July! I booked everything with my friend Laura, who’s coming with me, on Thursday and I’m like super excited! 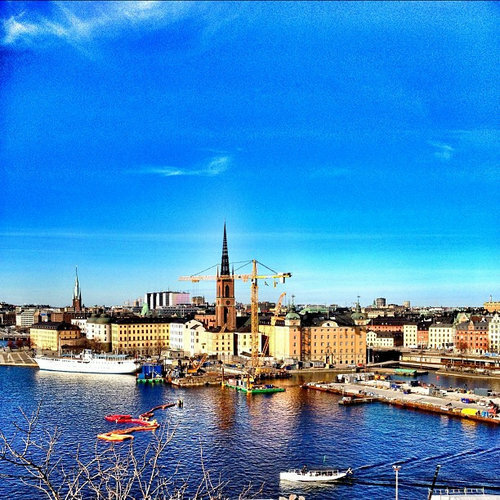 I’ve never been to the scandinavian area, but I always wanted to see it, specially Stockholm! It must be such an awesome and interesting city, I really look forward to it. There are already so many things I want to see, like the Nationalmuseum, the Kunlinga Slottet and the Junibacken! I was a huge fan of Astrid Lindgren when I was little (Michel!) and from what I heard there are also many other authors exhibited. What i really look forward though is just wandering around, exploring the city, riding with the bus and taking LOTS of photos. and some shopping of course. heh heh. I’ll be gone from July 12th til 17th.